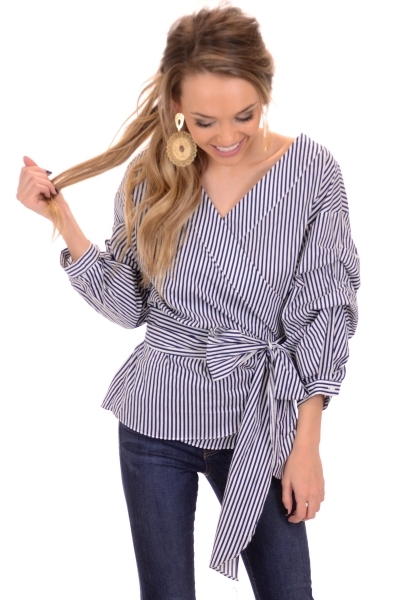 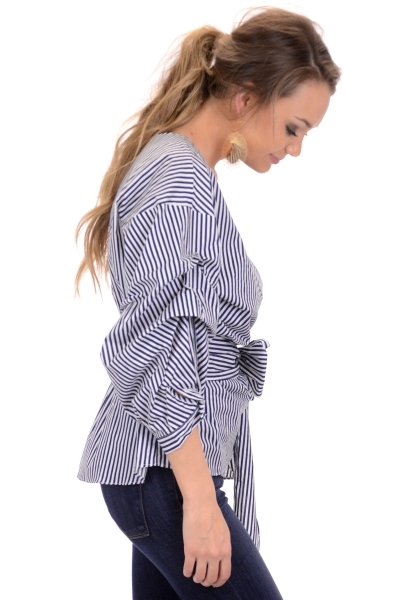 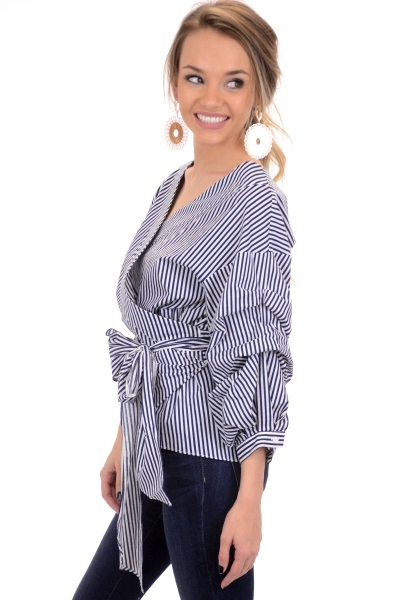 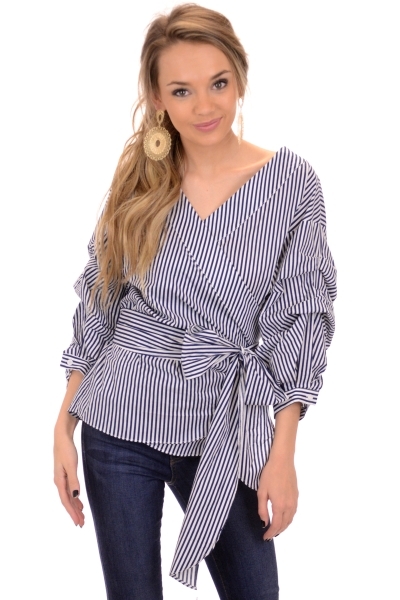 Statement sleeves and stripes= the best top ever! 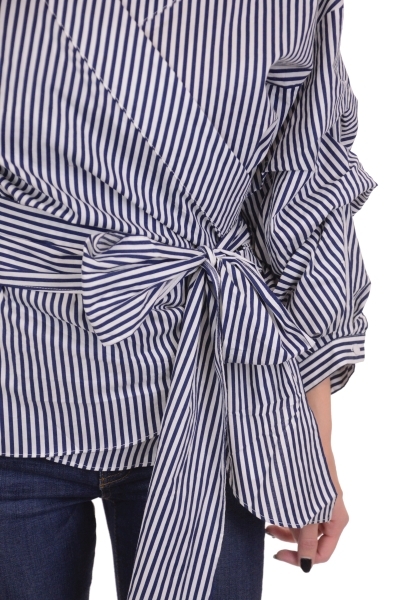 This top has a true wrap style which you KNOW is the most flattering of all. 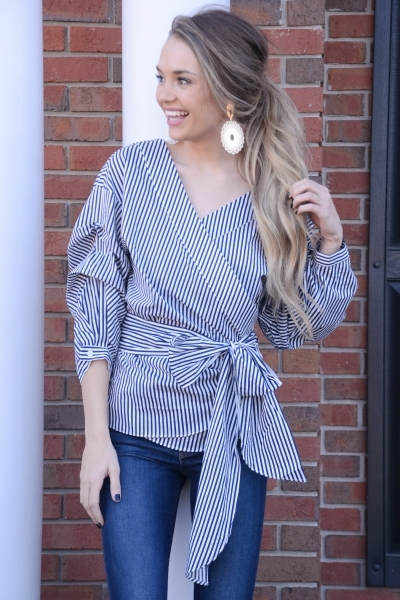 Fabric is a crisp cotton-blend.